No one can deny that gaining education is the key to a better future. But with the very high cost of education, not everyone can really afford it. There are many options for a student to actually finance their education. One can apply for scholarship grants, but we must say that not everyone can qualify for scholarship. Another option that a is to become a working student, although this might not always apply because in order to get a good job, a person needed to have degree or certificate for their skill or training. Many are actually looking for educational loan or student loan. 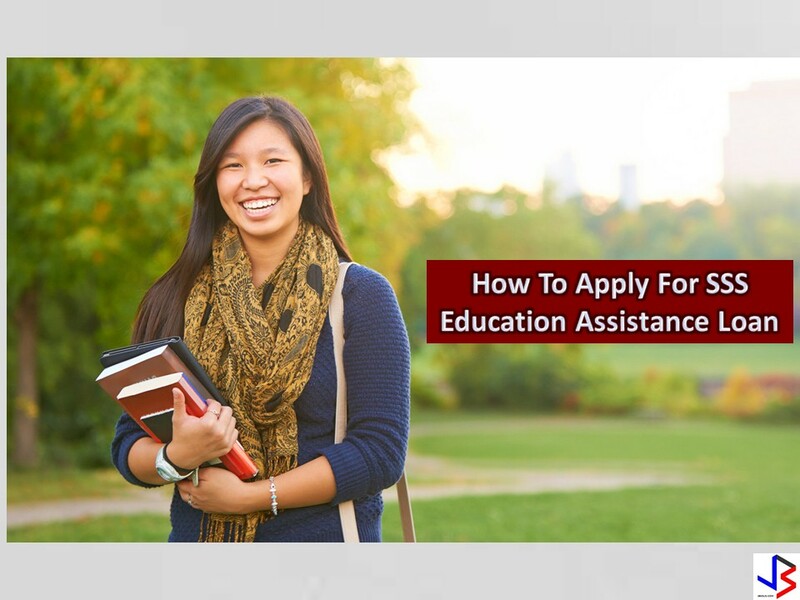 Good thing, there are some government assisted education loans available, just like the Educ Assist Loan offered by Social Security System (SSS). .
Who Can Benefit The Educational Assistance Loan of SSS? SSS members or his/her beneficiaries can avail EducAssist Loan. The beneficiaries can be the SSS member; the spouse (wife or husband of SSS member); child of SSS member; brother or sister of SSS member. 1. Member-borrower, legal spouse, child of SSS member (including illegitimate) and sibling of unmarried SSS member (including half-brother/sister). 2. Married member-borrowers are allowed to avail up to two (2) beneficiaries who shall be any of the following: member himself/herself, his/her spouse, his/her children (legitimate or illegitimate). 3. No substitution of beneficiary shall be allowed. Can I Apply For Education Loan If I have Existing Salary Loan or Housing Loan ? As long as the SSS member is up to date in his/her monthly payment for the loan she can apply for EducAssist. The amount of loan depends if you are taking a degree course or vocational. Degree Course - Maximum of Php20,000 per semester/trimester/quarter term or actual tuition/miscellaneous fees, whichever is lower, rounded off to the next higher Php100. Vocational/Technical Course (minimum of 2 years) – Maximum of Php10,000 per semester/trimester or actual amount of tuition/miscellaneous fees, whichever is lower, rounded off to the next higher Php100. 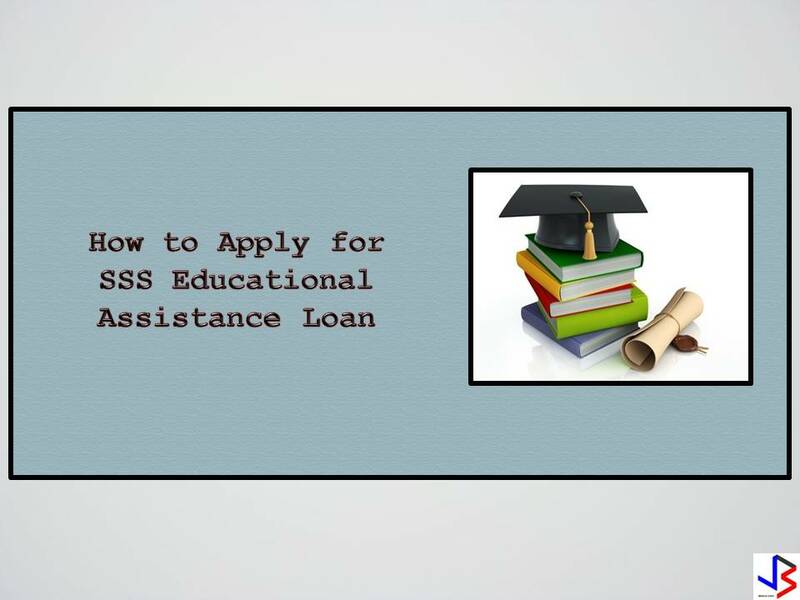 How Do I Apply For The SSS Education Loan? 1. SSS ID or two (2) valid IDs. 3. Assessment/Billing statement issued by the school of member/beneficiary. 4. Proof of monthly salary/income : pay slip or pay envelope or employer's certification (For Employed). Member-borrower whose last posted Monthly Salary Credit (MSC) is Php15,000 or below, provided that his/her actual monthly basic salary or income is not more than Php25,000; member-borrower who falls under MSC of Php15,000, must present proof of actual monthly salary/income of not more than Php 25,000. 5. Income Tax Return or affidavit of income (For self-employed/voluntary paying). How long do I have to repay my education loan in SSS? Degree Course - The term is up to five (5) years and loan payment shall start after 18 months for semestral courses, 15 months for trimestral courses or 14 months & 15 days for quarter term courses from the scheduled last release date or from the date of last release for those who will not avail of the subsequent releases. Vocational/Technical Course - The term is up to three (3) years and loan payment shall start after 18 months for semestral courses or 15 months for trimestral courses from the scheduled last release date or from the date of last release for those who will not avail of the subsequent releases. Any unpaid educational assistance loan shall be deducted from the future benefit of the member. It is important also that the school must be accredited by the Commission on Higher Education for degree courses and Technical Education and Skills Development Authority for vocational/technical courses.